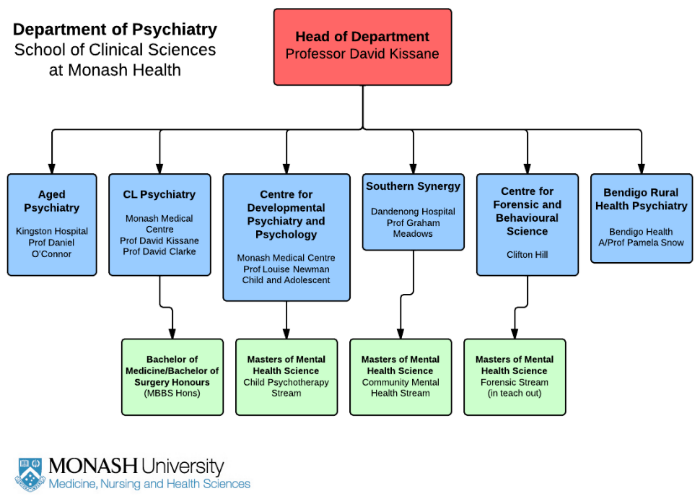 To be the premier Department of Psychiatry at an Australian University, excelling both internationally and nationally in excellence of research, education, clinical care and community leadership for mental health. To support our clinical colleagues in their academic and clinical growth, including the disciplines of clinical psychology, mental health nursing, social work and other allied health disciplines. Authorised by: Chief Marketing Officer, Strategic Marketing and Communications. Maintained by: FMNHS Webmater. Last updated: Sep 2017.